Hello, dear German learners, fellow pupils and lovers of life. I’m Marco and you are listening to the Authentic German Learning Podcast, Episode 61! 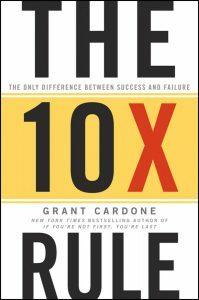 Today, we are talking about the book The 10X Rule by Grant Cardone. Good luck and above all have fun learning German! This book inspired me a lot. I read it again and again, because it gives me new zeal every time. It contains many good insights that help you achieve great goals and have enough endurance. needs a lot of effort even to tell people that it exists! Success is the degree to which one has achieved a desired goal. Success is like breathing: The last breath was important, but it is just as important as the next. It is perfectly okay to want to be successful! Success is something good. I think we all have goals, even if we say that we have none. Success is important (to have a fullfilled life). When expending just a little effort, it feels like work. If you pursues your goals obsessively, you are rewarded with success and it feels good. Beispiel: Statt Computerspiele ein produktiveres “Spiel” finden, zum Beispiel eigene Projekte, die eigene Arbeit oder Bildung. Example: Instead of computer games, find a more productive “game”, for example, own projects, your own work or education. Criticism is a sign of success. The more success you have, the more people will criticize you. The best answer to criticism is to be more successful. Please write a comment below the show notes and tell me what you liked most. With persistence you will master the German language. I am firmly convinced that you can learn German. You can do it, I’m sure of it! Until next time. 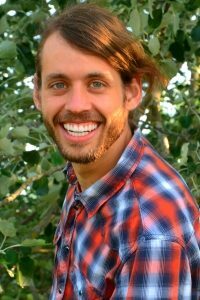 In the next topic episode we will talk about The Miracle Morning by Hal Elrod. See you soon!